Edible 23ct Gold Leaf Dust are randomly cut into 1 mm pieces Ranging from 100ml ideal for home use upto 5 grams for catering use Simply sprinkle the Edible Gold Flakes onto food or drink for that Connoisseur finish. 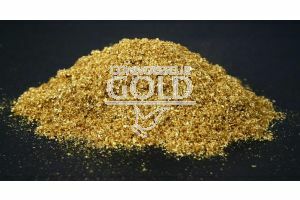 We have a full range of edible gold and edible silver along with the tools to make using very easy. 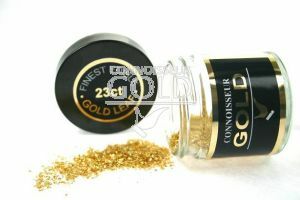 Edible gold is suitable for vegetarians and are safe to be eaten.